Tonic Health: Provide the Intake Experience Patients Expect — and Your Bottom Line Appreciates. 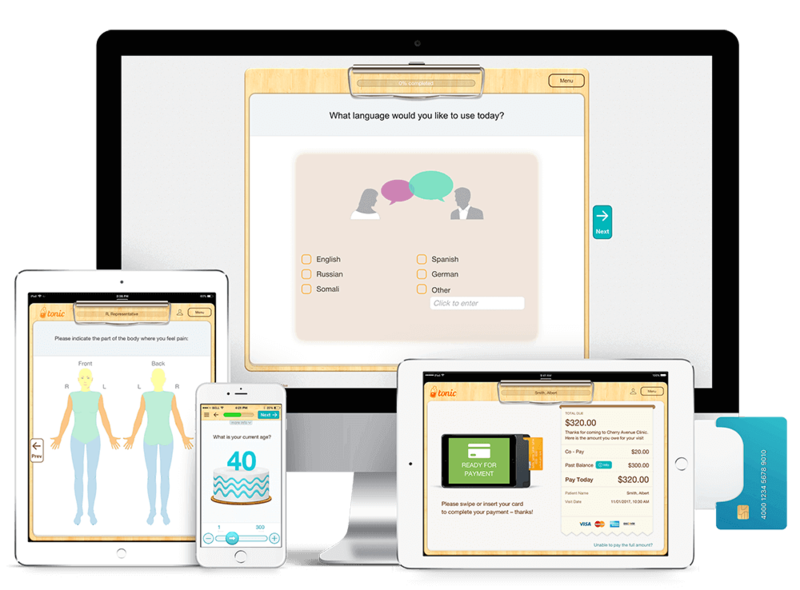 Tonic’s digital survey and payments platform provides a seamless, easy and engaging way for patients to fill out any survey, sign any consent form, and make any payment when and where it’s most convenient for them. Collect more payments, decrease administrative costs, and reduce staff burden—and all while delighting patients! Staff can take advantage of Tonic’s intuitive online survey builder, thus removing the reliance on your vendor—or teams of internal staff—to build, update and manage your forms and surveys! Ready to Provide the Intake Experience your Patients Expect?